1.1 LIVGUARD Technologies Private Limited (“LIVGUARD”) is a company registered under the Companies Act, 2013, having its registered office at WZ-106/101, Rajouri Garden Extension, West Delhi, New Delhi-110027. This website (“Website”) has been set up, and is operated and maintained by LIVGUARD to act as an electronic marketplace and an intermediary that provides an electronic venue for sale of goods and services(“Products”) by third party Vendors to the end customers. LIVGUARD may from time to time, also sell Products to end customers as a Vendor on this Website. c) All persons who visit or access this Website, or avail any of its functionalities or use any data or information available on the Website in any manner. 4.1 Collection of “Information”: LIVGUARD may request for, collect or gather such “Information” (which shall include data) as it deems necessary, relevant or incidental for rendering an improved shopping experience to Users and for other purposes as specified in Paragraph 6 below. 4.2 Personal Information: Such “Information” may include Personal Information relating to Users such as (a) User’s name, address, telephone number, e-mail address, postal address, delivery address (if different), gender, purchase history etc. (b) financial information such as bank account or credit or debit card information; (c) physical condition of User; (d) a description of the item requested or purchased; (e) the internet protocol (“IP”) address of User’s computer; (f) any other “sensitive personal data or information” relating to the User as defined under the applicable Rules under the Act. Non-personal Information LIVGUARD may also collect certain non-personal Information from the User, when the User visits and / or uses the Website. Such non-personal Information would include but not be limited to information such as geographical location of User, IP address, type of browser, operating system of User’s device, and details of usage of Website etc. Such non-personal Information is collected through various ways including “cookies”. Cookies are text files placed on Your computer, to help the website analyse how You use the site. Such information is not used to track information about individuals, but is used on an aggregate level to customize our site, improve the online experience of the User and plan advertising and promotions. 4.3 Internet Database: LIVGUARD has created an internet database to allow consumers to store their shipping and billing information, track the status of their order, list previous orders and retain email preferences. Registration is entirely voluntary and You have the ability to correct or delete the information at any time. This information can be accessed through the “My Account” section of the site. 4.4 Internet/Wi-Fi: LIVGUARD may access network/Internet to establish connectivity with the user. 4.5 User’s Location: LIVGUARD may access user’s location to auto populate user’s pin code and further customise user experience by showing location based information. 4.6 Receive & Read SMS: LIVGUARD may send transactional SMS to user’s device informing him about various updates like order status, RFQ response, latest deal, price updates etc. LIVGUARD may also auto populate and auto verify OTP features. 4.7 Make call: LIVGUARD may access and allows the application to initiate a phone call without accessing the dialler user interface for the user to confirm call so as to reach the customer care directly. 4.8 Storage: LIVGUARD may access and allow the user to upload pictures and documents for loan application and also allow to upload GSTIN documents. 4.9 Access Network State: LIVGUARD may access network state to establish server connectivity. 4.10 Camera: LIVGUARD may access user’s device to capture and save users profile image. 4.11 Record Audio: LIVGUARD may access user’s device to capture and process user’s voice search query. 4.12 Read Contacts: LIVGUARD may access and read contacts of the user, in case the user use “Refer & Earn” feature of the application, his contacts may be accessed to send invites to the selected contacts by the user itself. 4.13 Get Accounts: LIVGUARD may access the list of accounts in the Account Service to verify if user has synced Google account in his device, which will generate key value for each user. 4.14 Read Phone State: LIVGUARD may allow “read only” access for analytics of the device which includes phone number of the device, current cellular network information, and a list of the Phone Accounts registered on the device. 5.1 The information referred to above may be collected or received by LIVGUARD (a) directly from the User, when the User either provides any specific information on the Website; or (b) from use of the Website by the User; or (c) from third parties who have collected any Information relating to the User, and who have shared it with LIVGUARD. 5.2 There are times when You may provide information to us voluntarily, otherwise than through use of the Website. This occurs when You provide Your feedback to us through e-mails, return forms, letters or telephone calls. We may use this information to respond to Your query and to keep track of feedback received from You. (k) To conduct analytical studies on various aspects including User behaviour, User preferences etc. (n) To trace computer resources of any person for the purposes of determining compliance with the provisions of the Information Technology Act, 2000 and / or any other law for the time being in force. (a) Third Party Vendors / Service Providers etc. : Personal Information relating to Users may be made available to the third party Vendors, distributors etc. who sell their Products on the Website. Further, LIVGUARD may engage third party service providers to render various services, and perform various functions in relation to the business undertaken on the Website, and / or for the Purpose(s) discussed in Paragraph 6 above. For instance, LIVGUARD may engage third party service providers for maintenance of its website, fulfilment of orders, delivery of packages, analyzing data, providing marketing assistance, processing of credit card payments, provision of customer services etc. Such third party service providers / Vendors would have access to Personal Information of Users for the purpose of performing their functions / rendering their services etc. (c) Government Agency: LIVGUARD may share any Information relating to Users (i) with Government agencies mandated under the law to obtain Information relating to Users from LIVGUARD; (ii) any third party, when LIVGUARD is required to disclose the same under an order of a Government or judicial authority under any law for the time being in force, or where such disclosure is necessary for the compliance of a legal obligation. (d) With User Consent: Without prejudice to the aforesaid, LIVGUARD may disclose Personal Information relating to the User with his / her / its consent. For this purpose, LIVGUARD may send a prior notice to the User before sharing Personal Information relating to the User with third parties. In case no objection or intimation is received from the User, LIVGUARD would presume that User has granted its consent for sharing of said Information with third parties. 7.2 LIVGUARD will share Your Personal Information internally with such persons who need it to complete Your purchase or carry out Your instructions regarding the receipt of marketing information. 7.3 LIVGUARD shall keep sensitive personal data or information for only as long as the purposes for which the information may lawfully be used or is otherwise required under any other law for the time being in force. For those customers who have registered for the mailing list, their personal information is kept until we are notified that they no longer want their information stored. In order to make every effort to ensure that Your experience on the Website is secure, we use encryption technology to protect You against the loss, misuse or alteration of Your personal information. When You fill out any contact forms or access Your account, a secure server encrypts all of Your information through the use of Secure Socket Layers (SSLs). To be sure You are browsing secure pages for transactions, check Your Web browser’s status bar (located at the bottom of the window) for the closed padlock icon. This icon appears in Your web browser to tell You that You are viewing a secure web page. Also, all browsers display an “s” after the “http” (https://) in the Web site address to indicate that You are in a secure environment. LIVGUARD relies on Users to notify it of any changes in personal information. Should any inaccurate information come to LIVGUARD’s attention, it will investigate and correct the information and, if necessary, apprise the User of the change. Only those staff members who need the User’s personal information in order to respond to the User’s requests are given access to it. Employees are provided with training and information regarding the proper handling of personal information. All information stored in LIVGUARD’s computer system is protected from unauthorized access and information that is stored in document form is kept in secure locations to prevent access by unauthorized persons. The Users have a choice to opt-out of receiving non-essential (promotional, marketing-, related) communications from us, after setting up an account. In order to remove Your contact information, please visit Unsubscribe. They say attitude separates the great. It clearly reflects in the case of Mr. Rakesh Malhotra. He is an entrepreneur par excellence and has a robust ardour for brilliant ideas. Blessed with an entrepreneurial acumen and lazer-sharp focus, Rakesh Malhotra’s this very attitude brought him to the doors of entrepreneurship followed by best exposure of the industry. Starting his innings with Luminous Power Technologies, he coined the success mantra for the company. As the flagship product of the brand, Luminous Power Technologies caught the attention of Schneider Electric and soon the process of handing over an established market leader started and the stage was set for change of hands. Charting on to many paths, his driving force still remains the innovative spirit to add something extra to his products backed by extraordinary services. He also set up an India-centric VC fund with an anchor investment of USD 30 million, apart from Telecom, Water, Renewable Energy and logistics. No wonder, Rakesh Malhotra is the silent spectator, an active participator and a prolific mentor to many other entrepreneurs. Turning a bright idea into a successful business requires one to envision it happen and believe in its possibility. 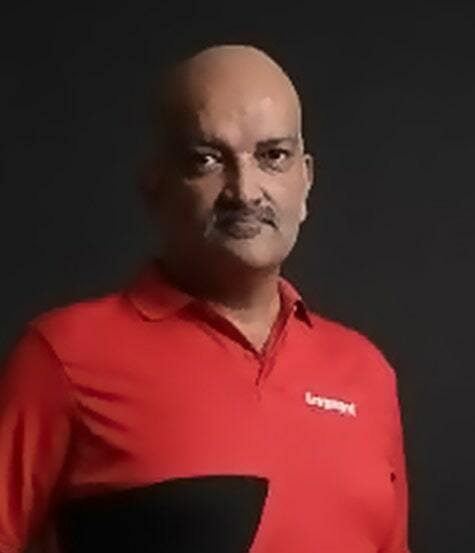 One of the main forces behind Luminous Power Technologies is Navneet Kapoor, who joined Rakesh Malhotra right after completing his engineering degree. Since then, he has been one the main pillars of the SAR Group and a hallmark of a true entrepreneur. He strongly believes a successful business thrives when outstanding service is coupled with industry expertise and innovation. 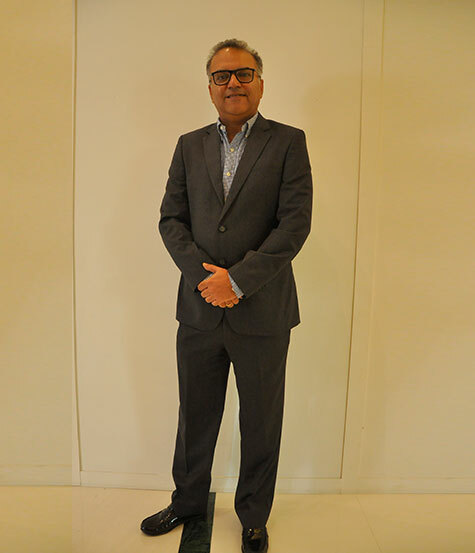 Navneeet Kapoor has witnessed roaring success in his career spanning over two decades, wherein his areas of expertise include procurement, supply chain, production and project management. Gurpreet Bhatia is an impeccable example of someone who has garnered massive success and created a unique career trajectory. He is a dynamic leader with a formidable experience of over 25 years in B2B & B2C channels coupled with global experience in marketing, sales and strategy. Armed with a heavy-duty portfolio of successful operations in large, multicultural and cross functional teams, he has been instrumental in establishing some renowned national and International brands. During his tenure with companies like Castrol India, Shell India and Bharat Petroleum, he gained vast expertise in setting new businesses, P&L Accountability, International Marketing, Brand & Channel Management, Business Development, Relationship Management and Business Operations. Alankar Mittal believes leadership is not about a title or a designation. It is about impact, influence and inspiration. Extremely committed and iron-willed, this dynamic leader has been associated with some of the leading brands like Vintron Informatics Ltd., Microtek International Pvt. Ltd., Kobian Singapore Pte Ltd. (MNC), Luminous Power Technologies Pvt. 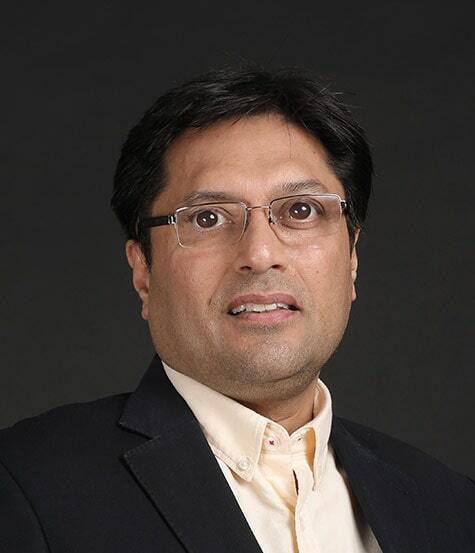 Ltd.
With over massive 17 years of experience and industry knowledge of Sales, Marketing, Channel & After-sales Service Management, Alankar Mittal’s ensures the company continues to earn a momentous stature in the energy solutions space. His expertise include IT hardware, Power Back Up Solutions, Diesel Gensets, Home Electricals, Water Purifiers, Mobile Devices and Mobile Accessories. Truly admired for his firm decisions and even deeper dedication, Atul Jalota has held various important portfolios while chartering the rungs of the corporate ladder. A Chartered Accountant by profession, Atul Jalota has earlier worked with leading Indian business houses and a multi-national investment bank, before being a part of the fast- growing SAR Group. He has over 20 years of experience in Corporate Finance, Investment Banking and Operations. 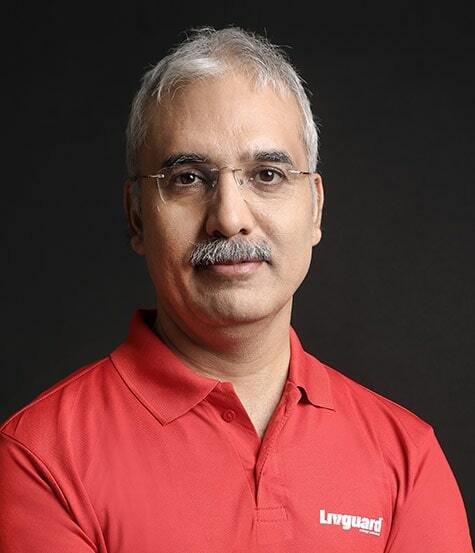 One of his biggest professional achievements is that he co-founded a software product company in the Telecom Billing Domain, which later grew to over 500 people and generated revenue of USD 30 Million within 10 years of its inception. 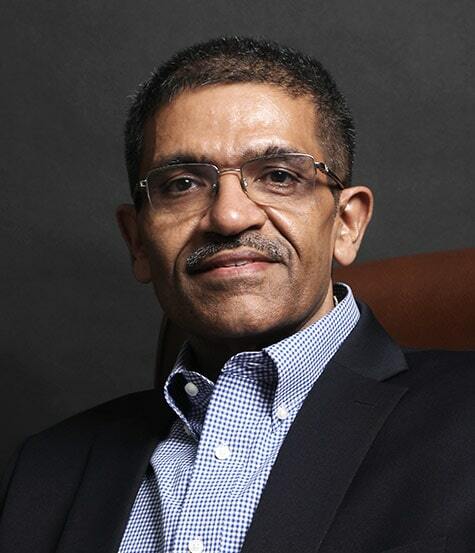 Paresh is a business leader having more than 27 years of experience in Business development, Project Management, Strategic Alliance, General Management and Human Resources Management. He is part of SAR Group for more than 26 years. He is currently working as Director & CEO of SAR Group's Cleantech venture Livgreen Cleantech Pvt. 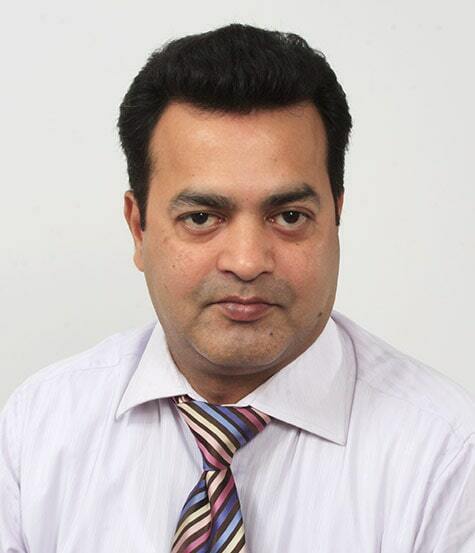 Ltd. Additionally he is Group Head- HR & CSR of SAR Group. He is a graduate in Mathematics and hold a Bachelor’s Degree in Electronics & Communication Engineering. People Development being his passion, he spends time in coaching people. He is a “Certified Success Life Coach” by Certified Coaches Alliance, BS, Canada and “Gallup-Certified Strengths Coach”.